Istanbul collective Oddviz is creating surreal collages of New York, Istanbul, Venice and Berlin. Most of the time, we barely notice the lamp posts, bollards and road signs around us. They're street clutter that barely registers in our brain as we go about our busy lives. But Oddviz, an art and design collective from Istanbul, looks at them differently. The group sees this 'street furniture' as important culture capsules that evolve as they corrode or get covered in posters, stickers and graffiti. Society doesn't protect them, though, like an iconic landmark. So Oddviz has started documenting them -- a form of digital preservation -- using a 3D modeling technique called photogrammetry. The result is a series of surreal collages called 'Inventory. 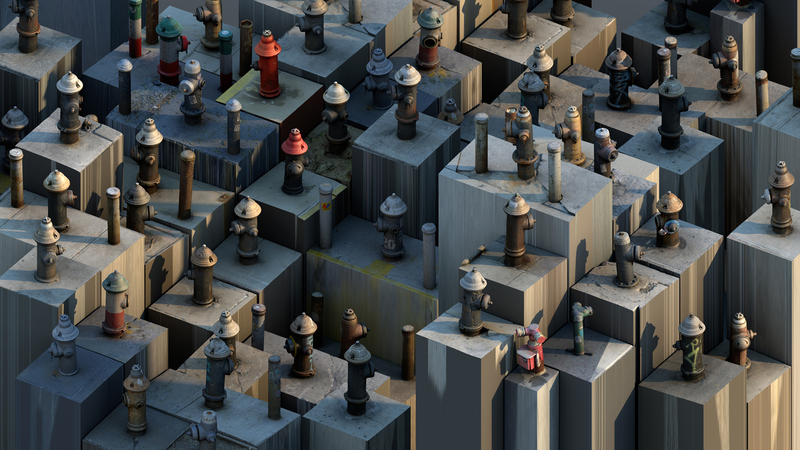 The team started in its local neighborhood of Kadikoy, capturing images of bollards, statues and dilapidated cars. It then moved onto Manhattan, snapping over 400 objects including fire hydrants, statues and utility poles. The team then took these photographs -- each object required many images from multiple angles -- and ran them through a piece of software called Agisoft PhotoScan. The application is able to analyze the images, deduce measurements, and finally produce digital objects with corresponding texture files. Oddviz then assembled the objects in ways that fitted each location; Istanbul is chaotic, while New York uses a grid-like layout. Oddviz captured similar objects in Venice and Berlin. The project is a work in progress, though, which is why only a few collages have been released so far. The collective sees each object as a "unit," and is experimenting with how multiple units can be presented in a single image. Regardless, it's a unique project, and one that provokes discussion about the ephemeral nature of public spaces. Cities like New York are constantly evolving, and while it's impossible to record everything, maybe there should be greater efforts to record its smaller, seemingly inconsequential changes. The team in Istanbul has previously worked on Contextures, an exploration of buildings and how they can be presented through photogrammetry. The most famous piece is a psychedelic video dissecting a hotel in Istanbul. It's a complete 3D model which the team then moves and exposes with mind-boggling incisions. Sometimes, it looks like acid is slowly burning through the ceiling, while in other moments it resembles a cookie cutter being pressed straight through the middle. 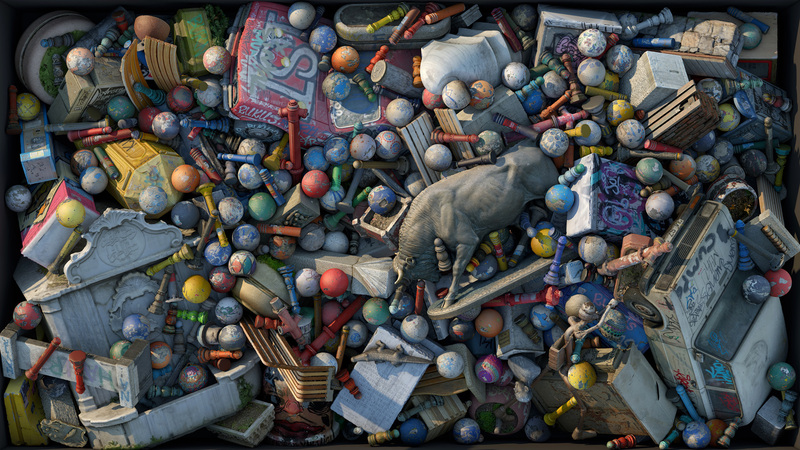 For a complete breakdown of the group's work, it's worth looking at their Sketchfab account, and following Oddviz member Erfal Inci on Tumblr.